Updated Monday December 11, 2017 by Brookwood Athletic Association Baseball & Softball. The mission of Brookwood Athletic Association for Baseball and Softball is to provide a safe, healthy, and enjoyable environment for learning to play baseball and softball, with an emphasis on the development of each child into a better person. The fundamentals of fair play, good sportsmanship, and team cooperation foster teaching the youngsters how to believe in themselves, handle adversity, accept responsibility, and attack life with a positive attitude. We believe the true measure of the success of our organization is the number of children who come back to play again in following seasons. 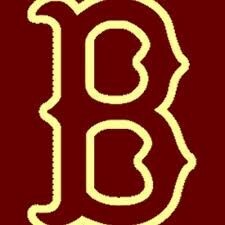 Brookwood Athletic Association for Baseball and Softball (BAAB) was formed in 1987 with a total of 210 children playing. The first games were played at Brookwood High School on fields behind the school. With development of Bethesda Park in Lawrenceville, GA, where most games are played, BAAB has grown to provide opportunities for over 1500 children to participate in baseball and softball leagues for ages ranging from 3 to 18. BAAB is a not-for-profit organization and is totally funded by the registration fees and concessions stand sales. Volunteers provide their time, and sometimes money, as team managers, coaches, board members, concession stand salespeople, and many other roles so that our children can have the best possible experience in youth athletics. Brookwood provides opportunities for boys aged 3-18 to play baseball and girls aged 4-18 to play softball. Parents are encouraged to participate at many levels -- managers, coaches, team moms, and wherever help is needed. Since BAAB is a volunteer-based organization, parental help is critical to the success of your athletic programs. For additional information for parents click here. If you need to contact a board member, please visit the Contact Us page. External links are provided for reference purposes. Brookwood Athletic Association Baseball & Softball is not responsible for the content of external Internet sites. Copyright Brookwood Athletic Association Baseball & Softball All rights Reserved.